As we are an ever-expanding company, we are looking for a FINANCIAL CONTROLLER (Senior Accountant) for our Headquarter in Houten / The Netherlands. After a few months of silence, we are happy to announce that Scan Modul signed the contract to deliver fixed modular cabinets and accessories for the New Aalborg University Hospital (NAU). This 135.000m2 project, is a new acute hospital located in East Aalborg, which will serve the entire North Denmark Region. 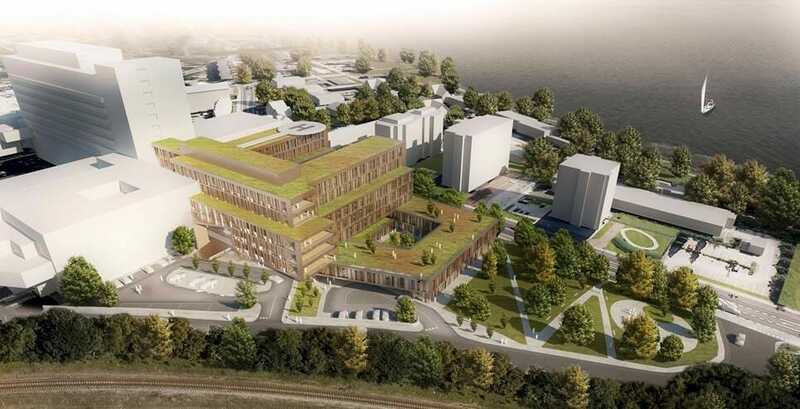 The project includes 17,000 m² of floor space for the Aalborg University Faculty of Medicine and preparing a general structural plan covering approx. 330,000 m² of floor space, including construction of Aalborg Psychiatric Hospital, an oncology building and a patient hotel, and expansion to the out patient building. The project is part of the Danish Government’s healthcare quality reform. Scan Modul has won the contract including fixed modular cabinets and accessories for the new Emergency Center at Viborg Hospital. The installation will begin later in Q1 and should be done before the summer. Scan Modul has done a lot of projects at Viborg Hospital in the past, and we are delighted that we were chosen for this very exciting project as well. Scan Modul has been awarded the contract for fixed cabinets and accessories. The contract is signed with the contractor MT Højgaard. The project consist of a 14,900 m² ward building, which is physically connected to the existing Southwest Jutland Hospital in Esbjerg. You arrive at the to the building on the ground floor, which consists of arrival, meeting center, outpatient facilities and an auditorium. Then there are five floors with a total of 158 single-bedded ward rooms. The innovative and intelligent SCANslide system simplifies the file maintenance of items of daily use and disposables, as well as with the application of the ScanModul® NoCount®-System or within the classic storage system. SCANslide is available in two versions – to be used with Scanmodul® label holders or self-adhesive. Our newest product – the highly compact SmartCabinet – supports Material Manager active immediately. 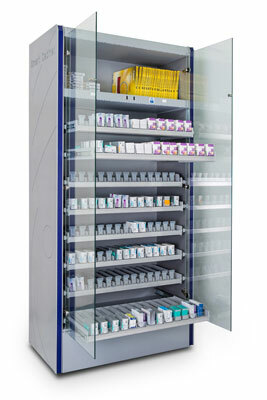 The SmartCabinet automates the management of high-quality medical products in all areas of medicine supply. 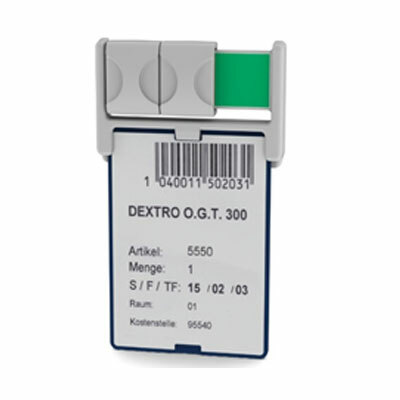 Whether in operating theaters, pharmacies or clinics, and evenwhen expensive medical devices are used. The SmartCabinet registers the removal, as well as the expiration date of each product with real-time inventory management always in view. If necessary, new products are automatically ordered directly from the manufacturer. A cloud –based software that provides, through the entire supply chain, an exact overview of the stocks, the use of each product, as well as information about the status of the medical devices.